One of the most riveting events at the Air Show is the Smoke-n-Thunder JetTruck. 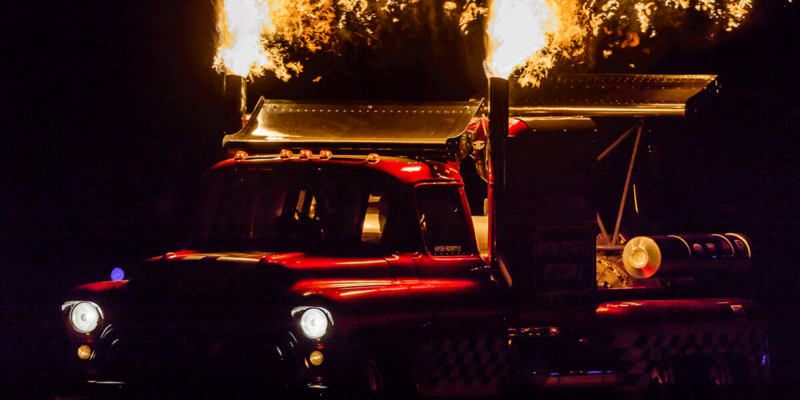 The Hot Streak II is a twin jet engine 57 Chevy Pickup that is capable of speeds of 350 plus MPH and has entertained fans across the country for over 20 years. For the upcoming air show event you will not find a more ground shaking heart pounding performance than the Hot Streak II JetTruck. © Copyright MCAS Beaufort Air Show & Marine Corps Community Services (MCCS) South Carolina.